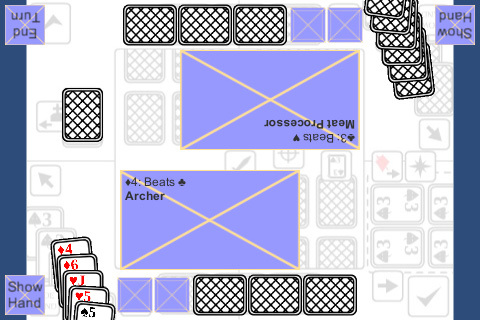 The navigation of the hand’s cards is now working. I’ve put all the card’s texts into the game so it shows up in the info box when the card is selected. What’s next: putting in the buttons that you play the cards from the hand.